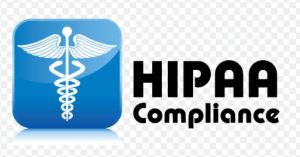 HIPAA provides a set of standards and compliance to covered entities: any one who provides treatment payment and operations in health care and Business associates; anyone with access to patients information and provide support treatment payment or operations. It’s core role is to assure individuals health information is protected while allowing flow of health information needed to promote high quality health care and protect public health well being.This permits important uses of information while protecting privacy of people who seek healing and care.This rule is designed with comprehensivenes and flexibility to cover variety of uses and disclosure that needs to be addressed.HIPAA privacy standard seeks to protect health data created, received, maintained or transmitted electronically. It establishes national standards to protect individuals electronic personal health information that is created, used and maintained by a covered entity. The rule outlines appropriate administrative, physical and technical safeguard to promote integrity and security of electronic protected health information. Transaction entails exchanges involving transfer of information between two parties for a specified purpose.HIPAA has adopted certain standard transactions for electronic data interchange (EDI) of administrative health-care data.Meaning if a covered entity conducts an adopted transaction electronically, it must be the adopted standard.Hence covered entities must afhere to the format requirements and content of each transaction. This rule provides standardized identification numbers of providers, employers, and ensures future ease of use and consistency.Under identifiers, are four major identifiers namely; National Individual Identifier, National Health Plan Identifier, National Provider Identifier and Standard Unique Employer Identifier. It contains provisions relating to compliance and investigations, imposition of civil money penalties for violation of HIPAA administration and its simplified rules and procedures. Health Information Technology for Economic and Clinical Health (HITECH) act was formed in response to technological development and increased use storage and transmission of electronic information. It provides data security and privacy for safe guarding medical information.